When planning your wedding, the most important thing you think of is the wedding venue. You know that a great wedding venue can make your special day, leaving your guests feeling the same magic that you ought to. With that in mind, Riverview Recreation Park has put together this handy guide giving you exactly what you should look for if you want your wedding to take place at a truly great venue. 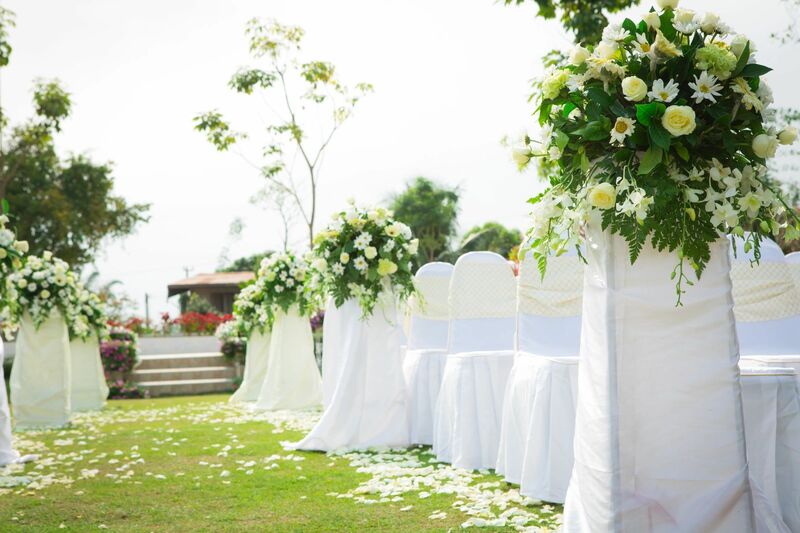 First and foremost, your event is going to require more than just a great wedding venue if you want it to be special. To make certain you can handle everything you need, you’re going to want to set a budget. Knowing how much you can afford to spend will determine what your options are for a wedding venue. The perfect wedding venue must fit within that budget. Make sure the place you choose shares all their prices with you, preferably in an itemized breakdown. A venue that costs more but includes other items from your wedding budget may prove to be a better option. Or, if the venue provides something at a higher price than you can negotiate for somewhere else, you may want to see if they’re willing to reduce your fee by cutting out that amenity. No matter your choice, you need to make sure there is enough money left in your budget to afford the rest of what will make your wedding special. Typically, when planning your wedding, there are two groups of guests on your guest list. There are the people that you must have in attendance (like close family and friends), and the people you’d like to have if you can. Your wedding venue should have enough space to at least accommodate that first group. Seek a wedding venue that has flexible space, allowing for larger groups with relative ease. Often, an outdoor venue is typically a better option, as it is not restricted by building fire codes. If weather in your location doesn’t permit an outdoor wedding, look for a wedding venue that will fit the people you don’t want to miss your special day. Aside from the guests you’d like to have, your wedding venue needs to be capable of the layout, structure, and requirements of anything you’d like to have that day. Is there space for a dance floor? Will you be able to manage that special family tradition? Consider all the things you want to include the day of your ceremony that will make your wedding yours. Choose a wedding venue that’s able to accommodate any special needs, from wheelchair accessibility to space for doves to fly, that your celebration may have. A great wedding venue won’t have a problem with anything you want to include, provided it’s all safe. Is The Wedding Venue In A Convenient Location? There’s a good chance that your wedding guests will include people travelling in from other locations. They may need a place to stay or convenient access to highways and airports. Choosing a wedding venue that has none of these accommodations nearby can hinder your guests’ attendance and affect their moods. Select a wedding venue that’s conveniently near hotels, airports, and highways to allow your travelling guests easy access. Make sure there are clear, easy to follow directions for arriving at the wedding venue, so your guests don’t get lost or frustrated trying to get there. Assure that there is enough parking on-site or very nearby, so your guests won’t have trouble getting in. Many wedding venues have restrictions on what can be done on-site. From noise curfews to size limitations, the different restrictions can change the way you plan your celebration. If there is something you want to include that’s non-negotiable, you’ll want to know ahead of time if the venue can accommodate it. If possible, try to select a wedding venue with as few restrictions as possible. Some venues are fortunate enough to be in located where there are no noise or light restrictions, and many outdoor wedding venues can handle just about anything you’d like to include short of pyrotechnics. Just be sure that your needs aren’t going to be declined due to these restrictions. The greatest wedding venues will be both affordable and flexible, allowing you to plan the perfect wedding there. This is your special day, and you need a venue that can help you make it the best it can be. With over 180 acres of beautiful outdoor environment in the Santa Ana River Valley, Riverview Recreation Park might be the perfect choice for your wedding venue.